Tradition looks quite different in Tokyo than, say, Kyoto. Concealed and evolving under constant layers of reinvention, it must be sought out. Where to start? Just head to Kohaku in Kagurazaka, Tokyo’s atmospheric nightlife district. The outer wall of dark, tightly packed bamboo, the recessed doorway, the concealed lighting; all are modern but unmistakably Japanese. Ditto the spacious, open-plan main dining area, with its high ceiling and tables set comfortably apart. And the impeccable contemporary kaiseki cuisine of Kohaku’s talented young chef, Koji Koizumi. In the seven years since opening, Koizumi has developed his own take on the kaiseki tradition of leisurely, multicourse meals. He has also forged an identity that is distinct from his longtime mentor, Hideki Ishikawa, whose eponymous restaurant was at this address before moving to its current location around the corner. Koizumi worked under Ishikawa for more than nine years, and that influence is apparent in the younger chef’s clear flavors, quality ingredients and refreshing lack of formality — even though both boast well deserved Michelin stars (two for Kohaku, a full three for Ishikawa). 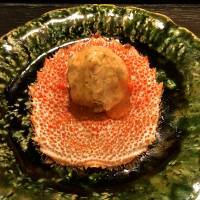 Of these sister restaurants, it is Kohaku that has the reputation for pushing the envelope and incorporating influences from outside the established washoku (traditional Japanese cuisine) canon. But only archtraditionalists would raise an eyebrow at the idea of using caviar as a garnish or gelatin in place of kanten (gelling agent derived from seaweed). His entry-level omakase (leave it up to the chef) menu makes an ideal introduction for anyone new to kaiseki. For those who already know the territory, he offers more sophisticated menus featuring a greater selection of dishes made with premium produce. 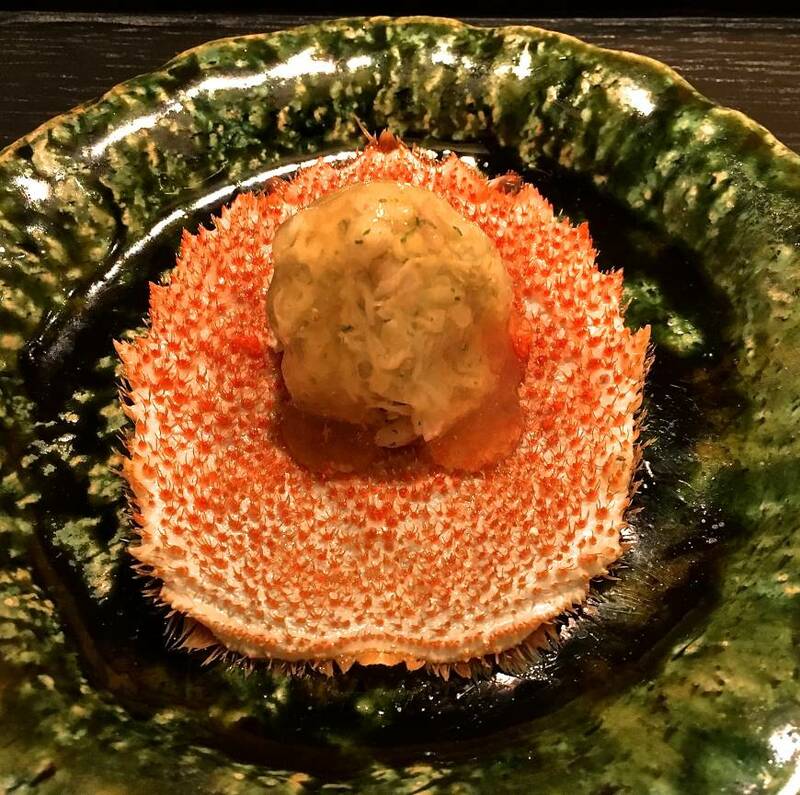 These were some highlights from his late October menu: The meal opened with kegani (horsehair crab) meat glazed with a viscous drape of yuzu (Japanese citrus) jelly and served on its speckled carapace. Then came pieces of unagi (eel) that were grilled over charcoal, steamed and deep-fried in a light dusting of umami-rich konbu (kelp) and aromatic star anise. Next came a rich porridge of sticky mochi rice cooked with suppon (softshell turtle) meat, burdock, ginger and garlic. These are strong flavors for Japanese cuisine, but wonderfully invigorating as the weather cools. Instead of simple sashimi, Koizumi carefully sliced up autumn mackerel that he had marinated with vinegar for four days and lightly smoked over burning rice straw. He followed this up with nodoguro (blackthroat seaperch) grilled expertly over charcoal, and served with a cube of pureed burdock root. And, as the crescendo of the meal, slivers of beef were accompanied by a poached quail’s egg, scattered with a konbu tapenade and then further elevated with slivers of Alba white truffle. Beautifully composed and unfailingly delicious, meals at Kohaku strike that perfect sweet spot between gourmet complexity and seasonal simplicity. Inevitably this means the restaurant is very popular, with places at Koizumi’s six-seat counter especially at a premium. Book well in advance or be prepared to wait for seats to free up late in the evening.